I am not sure if there are already any electric cars in Lebanon. If there are, good news! Medco has now an electric charger for vehicles of whatever brand as long as they are electric. Medco is touting this a the "future" (hint, please look at this preview of the wonderful movie "Who Killed The Electric Car?" - which details how old the concept is). 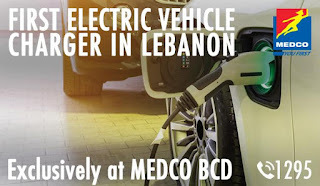 Still, electric cars or no electric cars, Medco is doing something - but unless you are in the downtown area little hope for you to charge your vehicle.